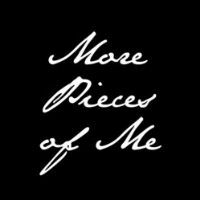 In light of the mega sales that we will be seeing this week, I wanted to briefly review where I've been having good shopping mojo lately & pieces I've been loving. One of my favorite go-to stores, especially for staple items, has been the LOFT. First off, let me say, never ever ever pay full price for anything here!! They are constantly running great sales that make each piece much more affordable - seriously, if I find out that you've paid full price I may have to slap your hand (well, maybe not really). I'm loving all the leggings this year...the bottom right picture is the good old fashion simple legging for more casual outfits. 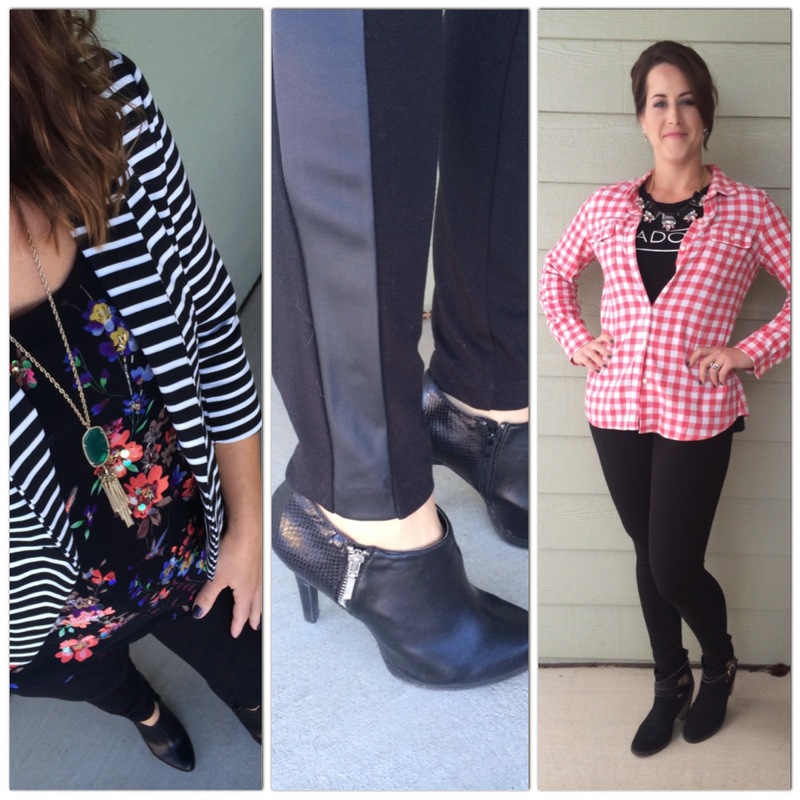 I also stocked up on the two ponte knit leggings (one with a faux leather stripe) to wear to work & with more dressier outfits. Either way, all types are great. As for the dress pants, I have great luck with the Marisa fit...no adjustments needed. They also have 3 other fit types so you can find what works for your body type. The other store I've been finding tons of items at lately is Old Navy. To be quite honest with you, this store has been very hit-and-miss for me over the years, but this Fall Old Navy has been spot on! Again, here are some of my faves thus far. Both of these pair of jeans have fit my needs for this season...they fit well & the price - & color & distressing -was right. 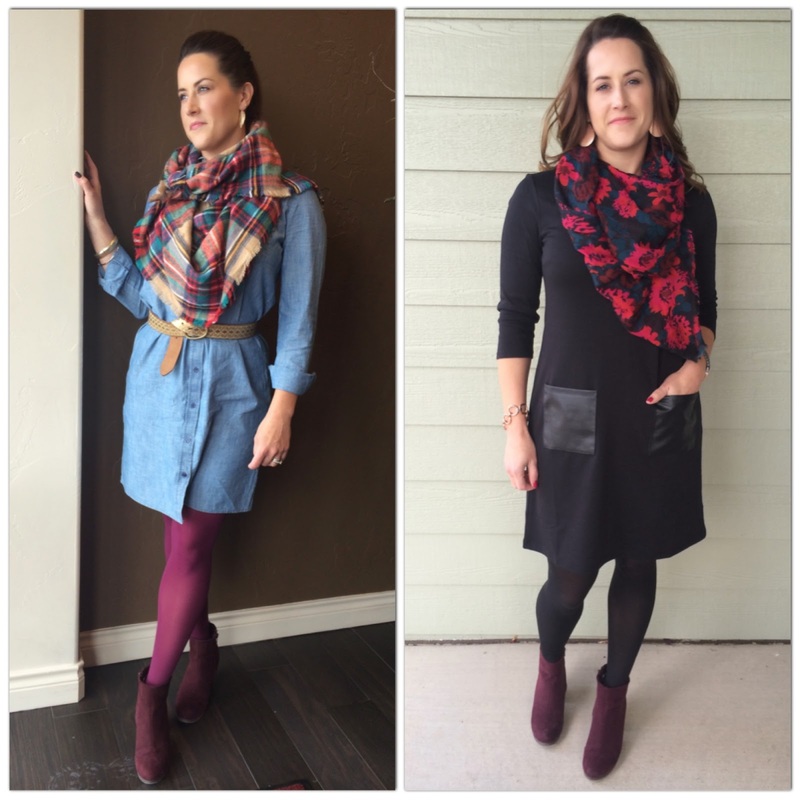 I have also found that Old Navy dresses work really well for me without a lot of effort on my part, so I love the versatility of both of these dresses (hello faux leather pockets!). Here's a quick sample of how I've been wearing these items lately (more to come on the Chambray, eventually). Both of these stores will be having sales this weekend, so let me know what you get!! In other blog news, on Monday I eluded to a big announcement. I'm happy to say that I've asked my sister, Stacie, to join me in this adventure. I want to bring you guys more content more often & I can't accomplish those goals on my own (purely from a time standpoint). Our goal together is to bring more variety (or viewpoints) to the blog, but definitely keep Fashion on the forefront as that's where my passion lies! Stacie will have a post for you this Friday, & over the next week we'll work on more introductions & updates. I like her - so I think you will too (lol) & I'm excited to have a partner in crime!! Be sure to stop by & say "hi" on Friday & next week you'll get to learn more about her. Happy & Safe Thanksgiving to all! So excited to have your sister on board! Loved this round-up of some of your favorite items from your favorite stores and SO MANY cute outfits!! I can't remember if I've seen all of them, but it was fun to see them all again in one place. 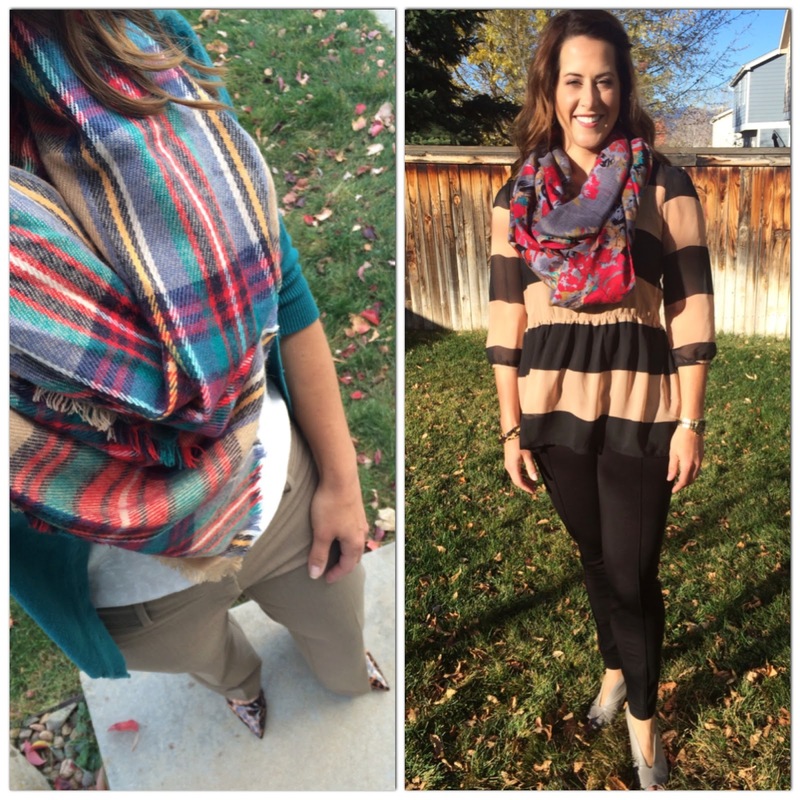 I am a huge leggings lover especially ponte+leather ones and you created so many gorgeous outfits with yours. 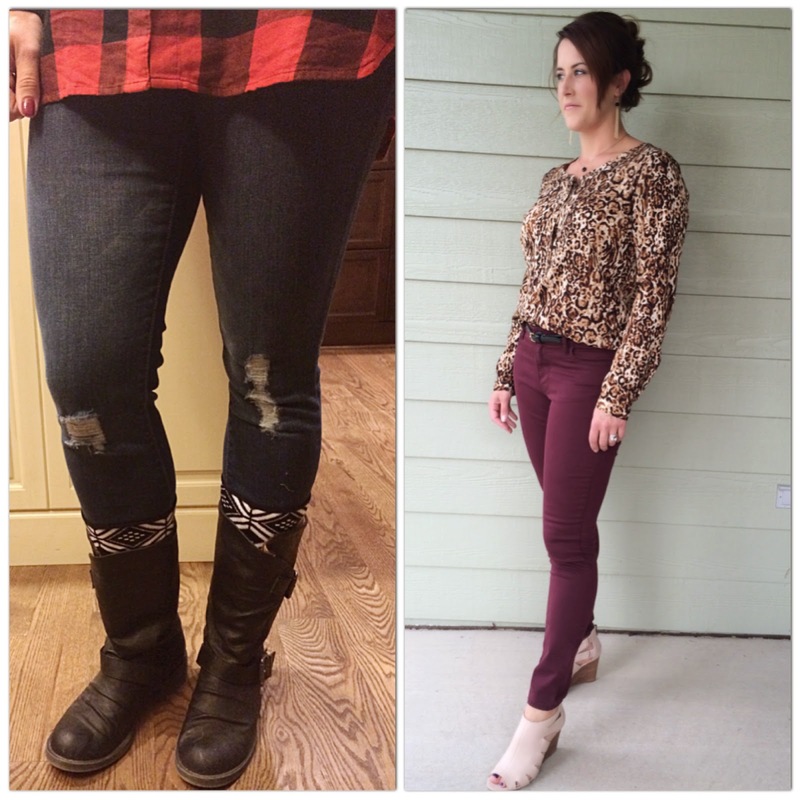 Plus I love those plum/cranberry jeans which are perfection with the leopard blouse. Well done Kellie. That's awesome about having your sister on board, what a great thing to work on together! Ok I seriously love all of your outfits, I'm obsessed with leggings and Old Navy but can you believe I've never bought anything at LOFT?! Now I know I really need to go check it out. I'm so in love with your ON black dress and booties look, beautiful on you. Have a Happy Thanksgiving.